Trying to remember everything about “Batman vs Superman: Dawn of Justice” is like taking a math test. You know you studied it, but the answers are not coming to mind. Reminiscing about this movie is tougher considering the amount of material tossed in that doesn’t stick or pay off at the end. I saw this with a near full house and recall nine walk outs and plenty of quiet chit chat during some crucial scenes. Even a few cell phone lights were noticed in the crowd. If this is how this movie is being treated in other places, I wouldn’t be surprised. This is two and a half hours of talk, strange editing, bizarre acting and underwhelming fight scenes. Not to mention cinematography so bleak that it makes you wonder where did all the color go. I should probably get the good stuff out of the way, seeing they are easier to talk about. Ben Affleck makes a good Batman. He’s suave and cunning when he’s Bruce Wayne, but brainy and crafty when donning the suit. They even give a small explanation for the hiding of the voice which covers up a plot hole looming over the franchise since day one. This comes in the form of an electronic voicebox which is a tad silly but forgivable. Least I hear that gruffling Bale voice, the better. And sadly, this is where most of the praise stops. Bruce sets his sights on the man of steel,(Henry Cavill), as a financial building is destroyed during the fight with Zod, for questioning the strong man’s ethics. The motive is there but little of it feels driven. They set up a reason for it early on, but then it takes a backseat to Superman’s dilemma about how he is seen on Earth. There are times when they toss in this theme of Superman being depicted as a menace or a god, but it doesn’t come together in the end. Feeling like an oddball with superhuman abilities, Superman/Clark Kent seeks out to show he’s a figure of good while setting sights on debunking the vigilantism of the bat. Its clear we have two different movies going on, but none of them come together until the final half. Most of the time, we get some scuffle as they see each other as pests. The only time their paths do cross is when Superman interrupts a chase scene and that’s really it. The big fight is saved for near the end and only exists because there is a “VS” in the title. There is no reason for this fight scene to occur considering the less amount of action that took place and how dialogue heavy everything is. The big confrontation has promise, but I feel borrows too much from Blade Runner as the two heroes duke it out within an abandoned building with rain drizzling in. Looking back to the past, the crossover films had more going for them. King Kong Vs. Godzilla had the big ape being used to stop the lightening lizard and more fight scenes involved. Frankenstein Meets the Wolf-Man was a clunky entry but the story line of Lawrence Talbot keeps it together with the monster battle saved as the end. Freddy Vs. Jason used itself to great potential, while Alien Vs. Predator was decent for the monster brawls. These crossovers hold more because they had one thing missing from this one, an actual story and excuse for these two to meet up. This “excuse” comes in the form of Lex Luthor (Jesse Eisenberg) who has this plan to bring down these two “heroes” and that’s really it. In the previous incarnations, Luthor at least had an motive and reason; to make it rich and be the ultimate tycoon. While that is not interesting, what made the character unique was how he acted. Luthor to me was kind of like a car salesman with the brain of Albert Einstein. Despite his con man personality, he always appeared one step ahead and enjoyed every minute of his diabolical ingenuity. This Luthor I wanted to see get melted or pummeled to bits. Eisenberg appears to perform him like a bratty Richie Rich that is giddy and overly eccentric. Its not fun and comes off as so obnoxious that my eyes kept looking up at the ceiling of my cinema whenever he was on screen. I’d go further into why this plan doesn’t hold menace, but that would be spoiling a good part of the movie. All I can say is that they try to do this Frankenstein thing with his character but it doesn’t pay off and feels tagged on. And that was the feeling I got from this movie. Everything felt tagged on and plastered to the wall just to see it stick. Its like “Hey, we need the people of Gotham and Metropolis to question how good the ethics of a hero are, because it was done in Watchman.” Or “Hey, we need Wonder Woman in this movie, just so we can have our Cinematic Universe.” Or “Hey, we need a last minute villain just so we can have this explosive finale and lead it into our Justice League movie.” And while I do admit seeing Gal Gadot as the lasso famed heroine was nice, it just felt there to please the fans clamoring for a Wonder Woman movie. Heck, you can even argue the whole movie is just a two and a half hour trailer seeing its edited that way. They do this thing where after a dramatic scene, it instantly cuts to black. At least give Roland Emmerich credit, he didn’t overuse them in his magnum opus Independence Day and used them to the right advantage. Here, they will have this big moment like Superman getting framed and then cuts to black and we see the LexCorp destroyed. It gets old very easy. This movie is so bad that its own continuity doesn’t make sense. We see the origin of Batman inter-cutting the death of his parents with his discovery of the bat cave. But then later, we see Bruce drive past the Wayne Manor and its already destroyed and burnt down. I know the Manor was destroyed in Batman Begins, but wasn’t it rebuilt in The Dark Knight Rises? If this was meant to be a reboot of the Batman franchise, I would be fine with it. But little details like that take me out of the movie too easily. Its funny because the night before, I saw a documentary called “The Death of Superman Lives” which covers the story of a Superman movie in the late 1990s that never got made. After seeing so many ideas and even some unique footage of Nicolas Cage in a decent Superman outfit, I’m starting to wish we got that movie instead of this one. “Batman vs Superman” doesn’t live up to its promised grudge until the final third. Everything else is so dull and delivered in a shoddy manner that I’d rather brush it off as a bad movie and move on. I feel bad because at least it did one thing right by giving us a Batman that works but not for this kind of movie. Even Jeremey Irons as Alfred feels underused compared to Micheal Cane who went on about speech after speech. There is only one good reason to see this movie other than Batman and that is to use this flick as an excuse to eat candy in the dark. Then again, same goes for every other feature running at your local cinema which probably holds better fun and entertainment than this Bat-Bomb. “Superman: The Movie” is considered by many to be one of the greatest comic book adaptions of all time. A man that can fly and posses super powers beyond any normal man has been such an iconic staple in American culture, it makes you wonder how he is so well embedded. At the time, superhero movies were considered a huge risk seeing they existed in 1950s serials and TV shows but no one attempted a full-length feature film. Well, they gave it a good shot and sure enough, “Superman” was a huge hit. Since then, others have tried to copy its formula of what makes it work while others succeeded in keeping with the spirit of the film. By sticking close to the source of the comic and using the current technology at the to bring the original vision to life. It wasn’t easy and I’m sure there were some difficult liberties but the final result is a film that makes you “believe a man can fly.” However, this was back in 1978. A time when the blockbuster was starting to become a mainstream regular. Considering how times have changed, does it make this movie dated? To be fair, it really goes all the way in delivering a superhero movie that is true to the original story while also timeless. We are treated to the origin of Kal-El who escapes the destruction of his home planet Krypton that becomes an asteroid field thanks to its sun exploding on them. The baby makes its way to Earth under the care of an elderly folk where he grows up to find out his true birth right. Knowing this information, he discovers from pre-recorded messages from his dad (played by Marlon Brando) that he posses greater power than any usual mortal and dedicates his life to being a savior of the planet. Christopher Reeve takes the role of the super powered being who is faster than a speeding bullet and able to fly around the world in a mere hour. Thankfully, he really does a great job at not just a heroic savior but also the bumbling alter-ego Clark Kent. Its the typical awkward nerd trope that is used in countless superhero movies when a powerful being needs a disguise but for the time, its enjoyable and doesn’t get any degrading. 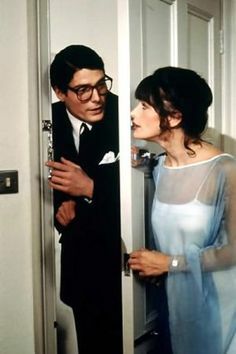 The reason I can think of that Clark has someone to play off his bumbling self; that being his love interest Lois Lane (Margot Kidder.) Remember when I mentioned one of my main problems of the Amazing Spider-Man movies was how the love interest was played up to be typical awkward teen love and had that constant on and off again situation where they teased about them being together? Well, here is where it all started and I think its done better here; that is till Superman II perfecting it. When Reeve and Kidder are on screen, you don’t see two actors making googly eyes and reading from the script. There is good chemistry between them as Clark knows when to be subtle on the geek moments and Lois just takes it as a typical quirk. But when Clark is Superman and doing things like flying with Lois or saving her from danger, we get this sense of care that isn’t phoned in. The two really act like a great pair as Lois teases with Clark while Superman does the same to Lois. Its funny seeing it comes off as a strange love triangle as one makes subtle winks to another but its all around cute. But what is a superhero movie without a villain? Midway, we get introduced to Lex Luthor performed by Gene Hackman who clearly shows he’s having a good time mucking it up as the bad guy. From his underground layer in the subway to one fake hair piece after another, he plans to convert the California state in Luthor owned property by means of two hijacked missiles planted at the San Andrea Fault. Again, this is something all superhero movies would carry with the criminal mastermind that has an impossible plan but “Superman” at least makes it work to an extant. There’s only so much of our suspension of disbelief we can carry at times but the villainous plan gets a pass because of its execution. Compared to the later movies where it would get sillier and sillier, Luthor’s plot is played to be more of a tycoon that sees every step doesn’t get pigeonholed or brought down by the smallest of things. And again, you can tell Gene Hackman is having a blast playing this villain from his over the top anger to his cocky attitude that makes him look like he was too good for Wall Street. 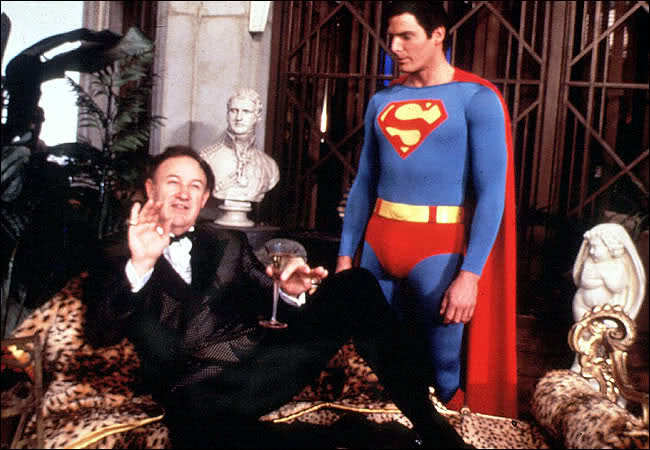 Never a Superman movie without the greatest criminal mastermind! As much what works well for this movie, there are some elements that don’t hold up as much in my opinion. On first watch, the pacing of “Superman” can feel slow and that’s because there’s so much material it has to set up like the origin story and Superman trying to prove he is a hero. With so much at bay, you wonder what is the true narrative or motivation. I’d argue its Kal-El struggling to make something of himself but then you have to be introduced to the villain Luthor and his “master plan” doesn’t go into action till the last 30 minutes of the movie. Newcomers who are expecting a mesh between origin tale and solid story might be disappointed or find the pacing a little uneven as the “Man of Steel” himself establishes his part to Metropolis for the first half of movie while the final half leans more towards a good vs. evil story. Its passable but I would have liked to see a way of how to insect the two. Also, while some of the characters are memorable, there are a select few that don’t hold up as well. Ned Beatty and Valerie Perrine play two accomplices of Lex Luthor that tend to feel more like goofy stock characters than three dimensional beings. Valerie as Lex’s girlfriend is a small exception seeing she has a bit of redemption at the end but Ned Beatty’s Otis is just unforgiving. Its the stereotypical bumbling henchman that goofs up just to make the kids laugh. There are a few times when his character can be funny but other times it can get groan inducing with his tough speech impediment-like accent and meat headed personality. Thankfully, it doesn’t diminish the enjoyment of the movie too much. Now something I should address is that there exists three different versions of this movie. And if you are to start with a certain cut, I’d say possibly the original theatrical cut or the 2000 extended edition would be fine. This third version is known by fans as the “Salkind International Extended Cut” which is far longer clocking in at 3 hours and 8 minutes. 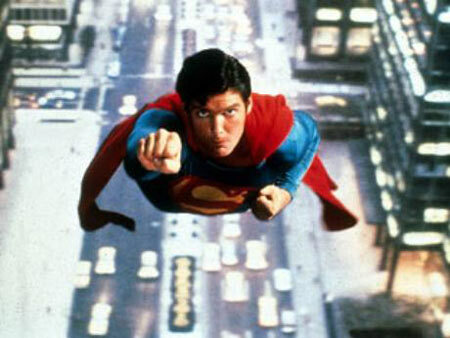 Back then, ABC offered to air “Superman: The Movie” as a “pay per minute” deal. 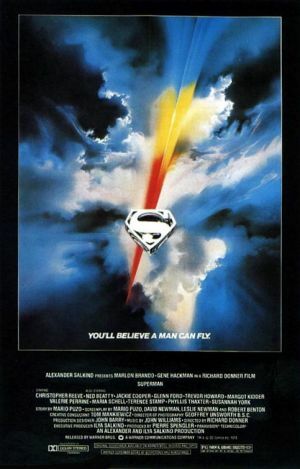 Thus, the two producers compiled a version of the movie that had over 40 minutes of deleted scenes that expanded on certain scenes like the destruction of Krypton, added moments like Lois interviewing an Indian chief or Lex Luthor prepping his car crash distraction and even restored some John Williams score that was trimmed in the theatrical cut. As a whole, its interesting to see tons of added footage but it sort of hampers with the narrative a bit slowing the pace even more. If you can find it, its a nice little gem but I wouldn’t recommend it for first time viewers. One of the restored scenes from the 2000 version where Lex tests his traps on the man of steel. Also seen in the longer TV edit as well. The 2000 extended edition, however, is a cut that was supervised by director Richard Donner along with film editor Michael Thau and has a few select scenes from the longer television edit. The reason not all the footage was added was due to poor visual effects and this version was more of a “professional edit” than rather a syndicated pick-up for television. 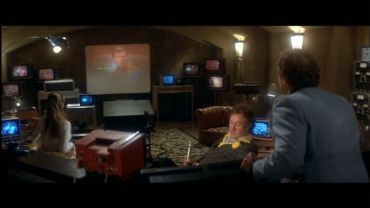 While the film was restored, the audio elements were punched up a bit with some extra sound effects in spots where the original audio was deemed “unusable.” In terms of the added scenes, its very much like the Director’s Cut to “Wrath of Khan.” They are subtle and interesting while they don’t alter the narrative flow too much. Highlights include Kal-El talking to his father more in the Fortress of Solitude, a young Lois Lane seeing Clark run pass the train she is on and a whole sequence where Lex Luthor tires to fire bullets, burn and freeze Superman as the caped wonder makes his way to Luthor’s layer. As stated, these additions are fine alone so either version can be viewed on its own.